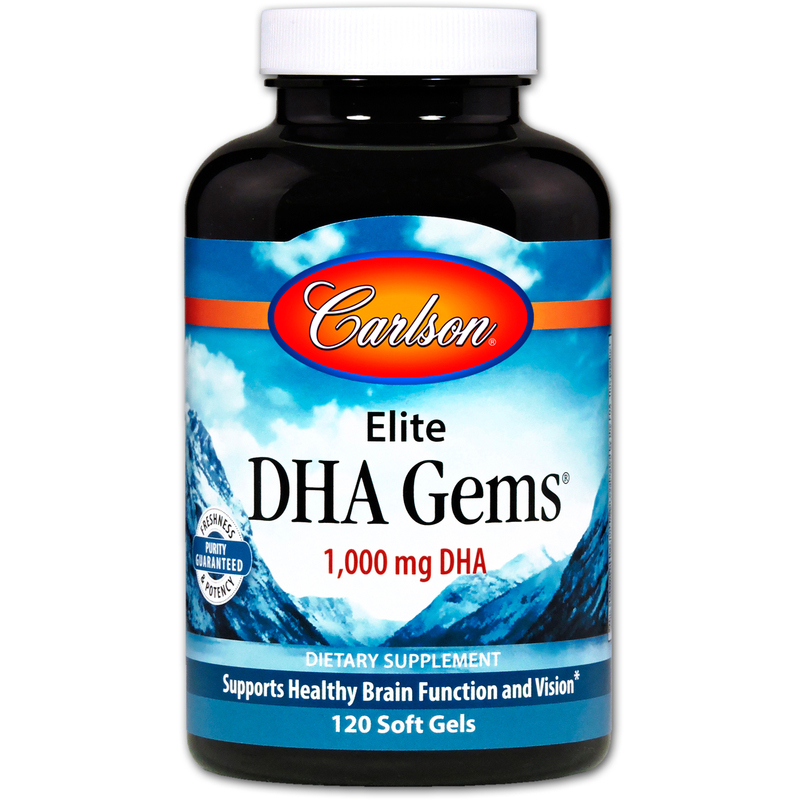 Elite DHA Gems provide 1,000 mg of concentrated DHA in a single soft gel. 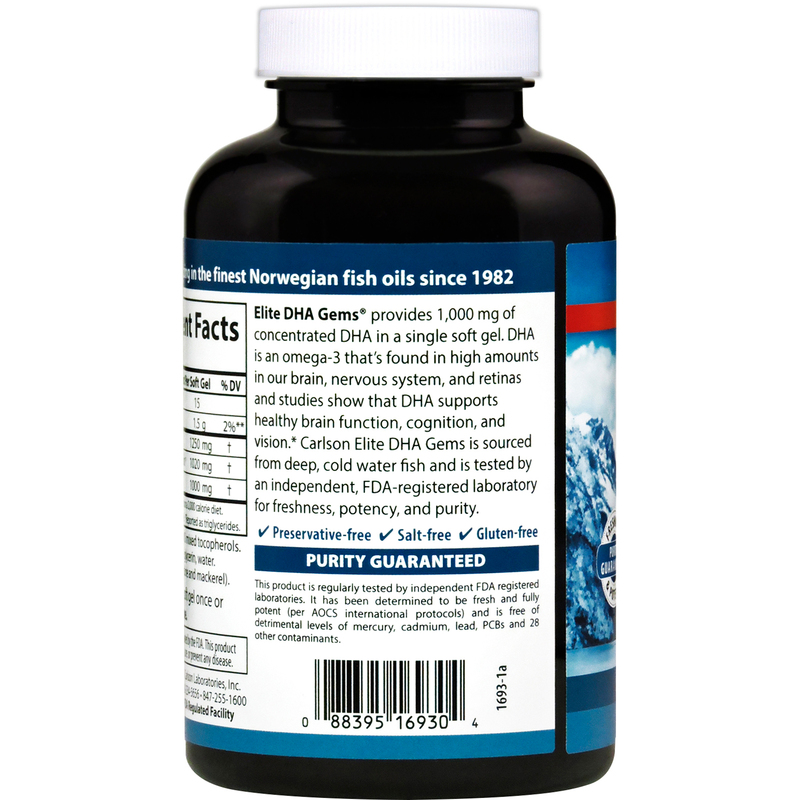 DHA is an omega-3 that's found in high amounts in our brain, nervous system, and retinas and studies show that DHA supports healthy brain function, cognition, and vision. 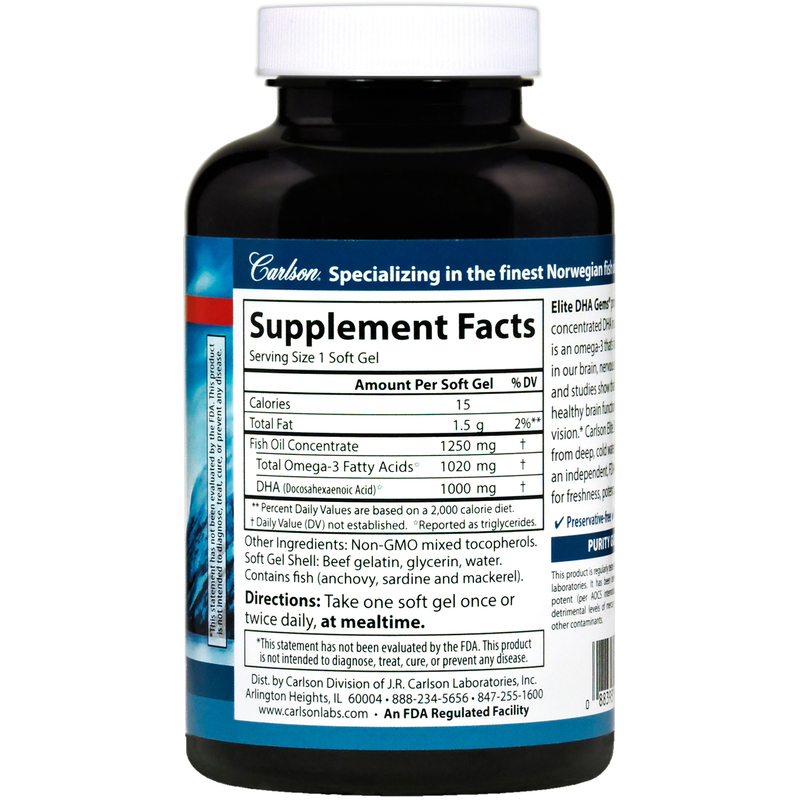 Carlson Elite DHA Gems is sourced from deep, cold water fish and is tested by an independent FDA-registered laboratory for freshness, potency, and purity.